The Best In Contemporary Jazz From Europe! Tired Of Playing The Same Old Tunes? Over 175 fresh new jazz tunes with a European accent are just waiting for you. Many of these giants of jazz like George Mraz, Bill Bruford, Allan Holdsworth, Cleo Lane, Claus Ogerman, Niels-Henning Ørsted Pedersen, George Shearing, "Toots" Thielemans, Django Reinhardt, and Joe Zawinul are familiar to USA jazzers, because they've played with the best of the best of our own USA Jazz Giants and are household names among musicians. Others we never heard of, but we thoroughly enjoyed their works once we found them on the Internet. We did this disk to fulfil the requests of some of our European customers. Although we hadn't heard many of the songs and composers before, and we're glad we took on this project. New horizons have been opened, and new delights have been savored. This music is a real treat. Our ears are very, very happy. We think your ears deserve this treat too. Some of these artists you may have never heard of, and many of them you will want to hear again and again -- and you'll want to play their tunes too. Here is a sampling (a / denotes a collaboration for a song featured on this disk and in the optional companion book): Alain Mallet/Caribbean Jazz Project Alain Mallet/Victor Mendoza Alec Dankworth Allan Holdsworth Amina Figarova Anders Bergcrantz Andrea Marcelli Anna-Lena Laurin Antonio Farao Armando Trovaioli/Tommaso-Rava Quartet Barbara Dennerlein Bernardo Sassetti Bill Bruford Bobo Stenson Bogdan Holownia Bunny Brunel Charles Loos/Parfum Latin Christian Jacob Christian Jacob/Eddie Gomez Claus Ogerman Claus Ogerman/Hank Jones Dado Moroni Darek "Oles" Oleszkiewicz Dave Horler/Ludwig Nuss David Gordon David Linx Didier Lockwood Diederik Wissels/David Linx Django Reinhardt Dominique di Piazza/Front Page Duncan Lamont Duncan Lamont/Blossom Dearie Eddy Louiss/Richard Galliano Emil Viklicky Ennio Morricone/Giovanni Tommaso Enrico Pieranunzi Enrico Rava Eugene Maslov Florian Ross Franck Amsallem George Robert George Shearing Gianni Savelli/Media Res Giovanni Tommaso Gregor Hübner Jacek Pelc Jacky Terrasson Jacob Karlzon Jan L.Hartong/Nueva Manteca Jaromir Honzak Javier Girotto/Aires Tango Jean "Toots" Thielemans Jesse van Ruller John Dankworth John Taylor Joe Zawinul/Bill Evans Joe Zawinul/Miles Davis Joe Zawinul/Weather Report Johannes Enders John Dankworth Julian Argüelles Harmen Fraanje Kendrik Meurkens Kenny Wheeler/Bill Evans Ivan Paduart Jesse van Ruller Kalman Olah Kalman Olah/Trio Midnight Karel Boehlee Karel Boehlee/Toon Roos Group Kenny Wheeler Kris Goessens/Bob Brookmeyer Larry Vuckovich Lars Jansson Ludwig Nuss Maggi Olin Mark Lockheart Martijn van Iterson Matthiew Michel/Thierry Lang Maurizio Giammarco Michal Tokaj Michel Petrucciani Michel Petrucciani/Rosario Guiliani Michiel Borstlap Neff Irizarry Niels-Henning Ørsted Pedersen Neils Lan Doky Nguyên Lê Nick Levinovsky Paolo Fresu/David Linx Paul Heller Perico Sambeat Pete Oxley/Curious Paradise Peter Asplund Peter Bolte Peter Lehel Philip Catherine Philippe Petrucciani/Michel Petrucciani Rene Thomas Richard Galliano Richard Rodney Bennett Roberto Gatto Rosario Giuliani Salvatore Bonafede Stefan Karlsson Stefano di Battista Steve Hamilton/TimGarland/Bill Bruford Steve Waterman Tommy Smith Tony Lakatos Tim Garlon Tommy Smith Tony Lakatos/Masha Bijlsma Ulf Wakenius Valery Ponomarev Victor Feldman/Cannonball Adderly Wolfgang Roth/Steffan Kuehn Zbigniew Namyslowski/Urszula Dudziak My apologies to any names misspelled due to typo errors. 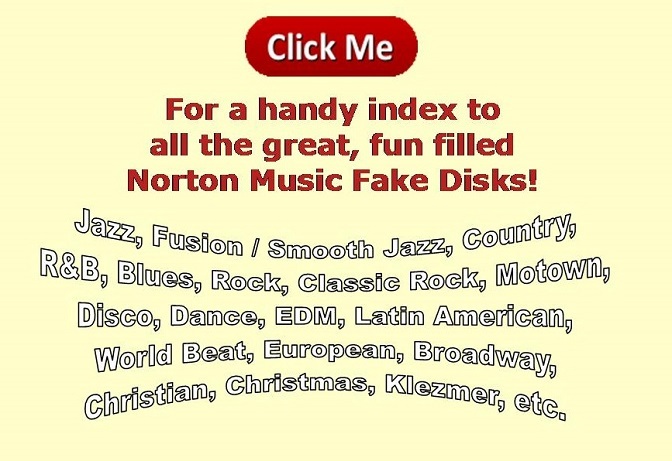 ● "The (Norton Music) Style Disks are a good buy. Many of them do a great job of showing off Band-In-A-Box's capabilities, and one of them just might give you an idea for that next million dollar song."